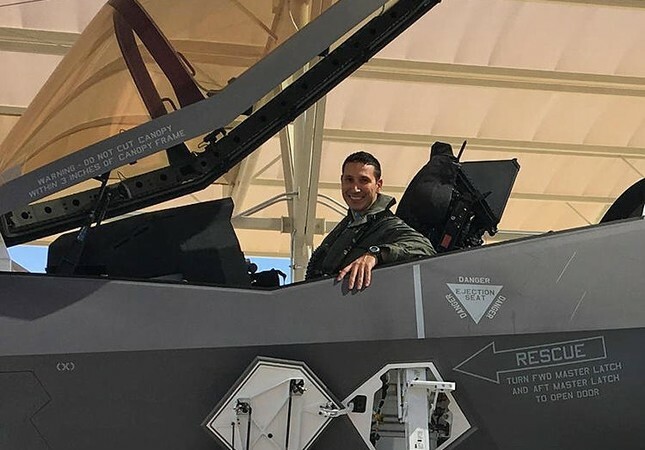 A Turkish fighter pilot carried out the first flight in the United States with one of Turkey's new F-35 jets on August 28, Turkish Armed Forces said in a statement released late Tuesday. Early July, the Pentagon said Turkish pilots and maintenance personnel were being trained on the F-35 fighter jet in the state of Arizona. Late June, Turkey took delivery of its first F-35 fighter jet at a ceremony in Forth Worth, Texas. Turkey and the U.S. have recently been at loggerheads over the former's purchase of Russian S-400 missile systems and the arrest of terror-linked American pastor Andrew Brunson. The Trump administration had decided to delay the delivery of the warplane to Turkey, citing the pastor's case and later its purchase from the Russians. In early August, U.S. President Donald Trump approved a defense budget law delaying delivery of F-35 Joint Strike Fighter jets to Turkey. An amendment to the National Defense Authorization Act (NDAA), quickly approved by Congress, prohibits F-35 sales to Turkey until the Pentagon issues a report on Turkish-American relations in 90 days. Still, the F-35 Joint Program Office announced on Aug. 16 that it would continue to execute current program plans with all partners, including Turkey, and to abide by any future policy guidelines. Turkey has been in the F-35 program since 1999, and the Turkish defense industry has taken an active role in the production of aircraft and invested $1.25 billion in the aircraft's development. Alp Aviation, AYESAŞ, Kale Aviation, Kale Pratt & Whitney and Turkish Aerospace Industries (TAI) have been producing parts for the first F-35 fighter jet. AYESAŞ is also the sole provider of two key components of the plane. Turkey plans to purchase 100 F-35 fighter jets in the coming years. Out of 100 aircraft, 30 have been approved. The country took delivery of its first F-35 fighter jet at a ceremony in Fort Worth, Texas, on June 21. The first F-35 aircraft delivered is also the first fifth-generation fighter jet to enter the Turkish Air Force Command inventory.